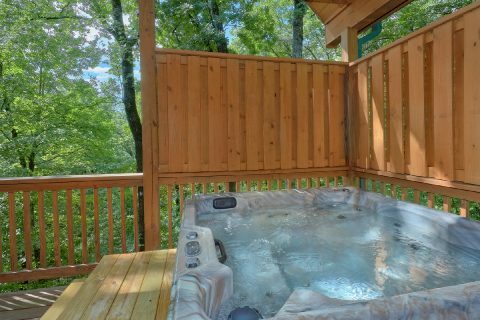 Searching for an affordable cabin in Wears Valley with a theater and a hot tub? 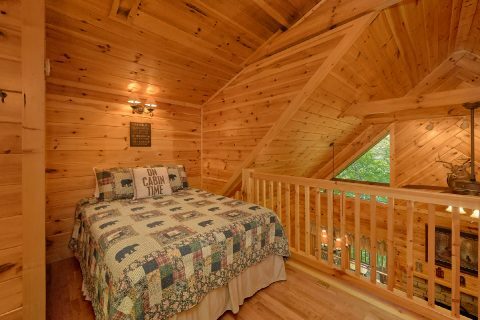 Come experience "Bear'ly Makin' It," a lovely 1-bedroom cabin that boasts a great location and excellent amenities to enjoy during your stay! 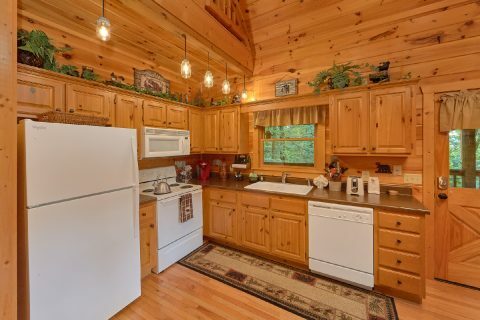 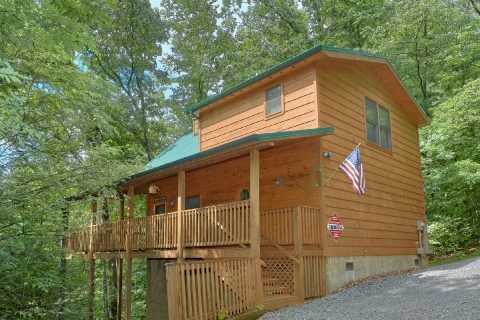 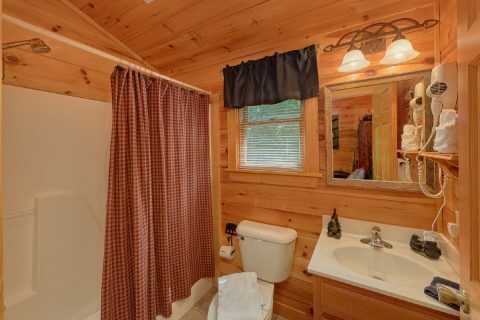 From this cabin's scenic spot in the Wears Valley area, guests of this rental can enjoy quick access to the Pigeon Forge Parkway and other attractions like Dollywood. Additionally, this rental is also only a short drive from the Wears Valley national park entrance, so you'll also easily reach beautiful hiking trails, waterfalls, and historic cabins in the national park. 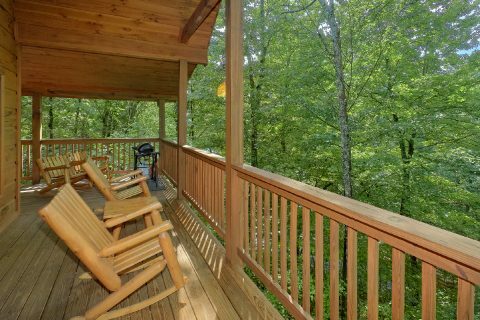 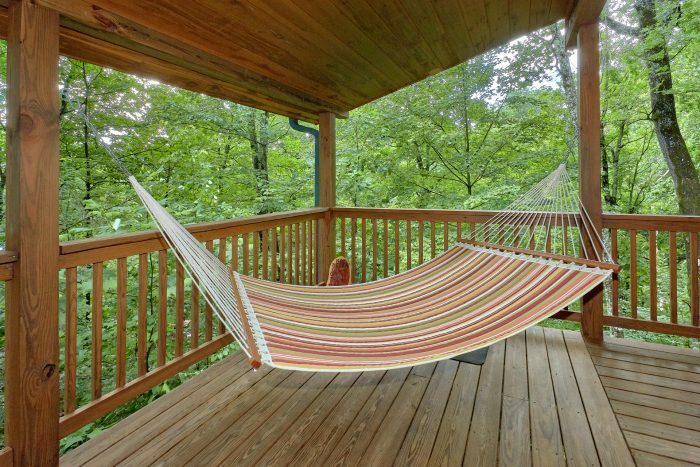 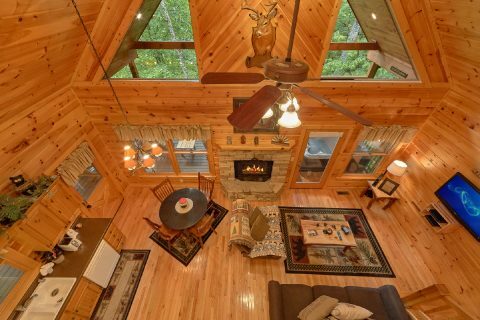 When you aren't busy exploring the best sights the Smokies have to offer, you'll love spending time at this cabin that has everything you need to relax! 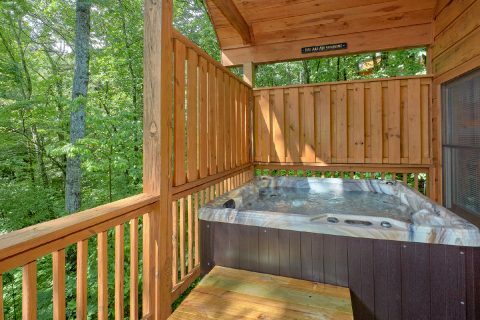 Thanks to this cabin's resort location, guests of this rental can enjoy all the convenience that a resort location affords, most importantly resort swimming pool access during the warm summer months! 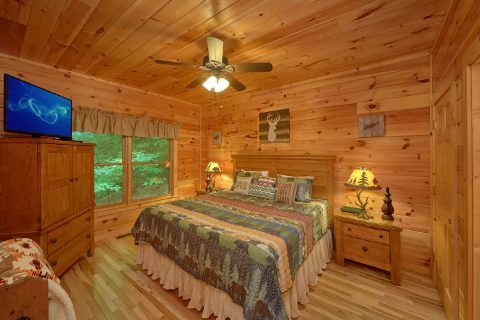 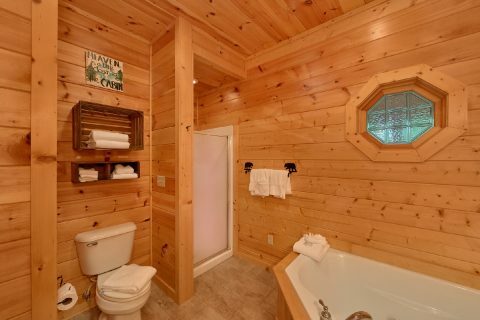 There's plenty for comfort and relaxation in your cabin retreat as well. 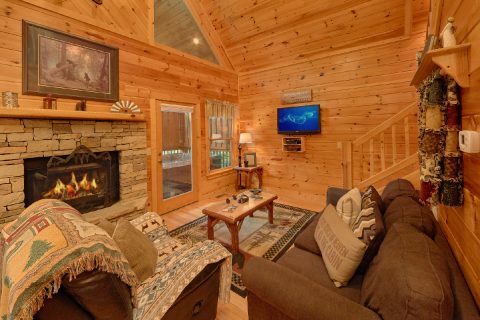 The main level living room comes complete with a gas fireplace, a flat screen television, a DVD player, and comfortable furnishings, so it's the perfect place to enjoy quality time with family and friends. 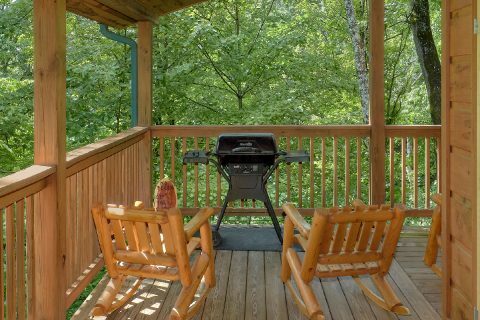 From here, you can step outside to your cabin's covered deck that boasts rocking chairs, a hot tub, and a gas grill for cooking out in nature. 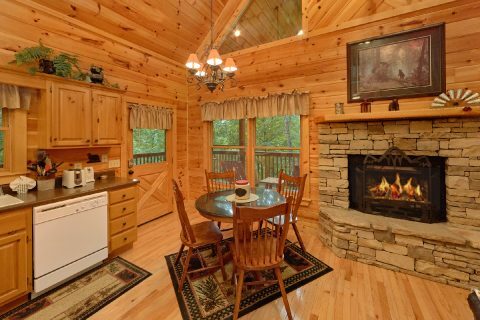 Back inside your cabin, a full kitchen and a dining area so you can keep your vacation on budget by dining in your cabin. 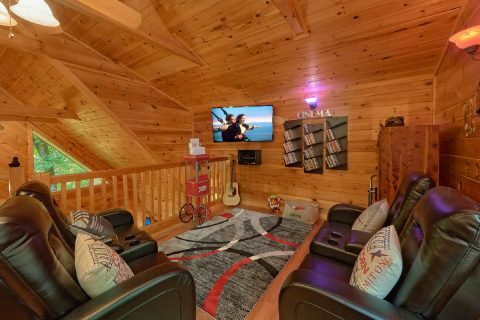 For some in-cabin entertainment, head upstairs to the theater room loft that boasts 4 theater-style seats, a popcorn machine, a 50" HDTV, a DVD player, and 50+ movies to watch. 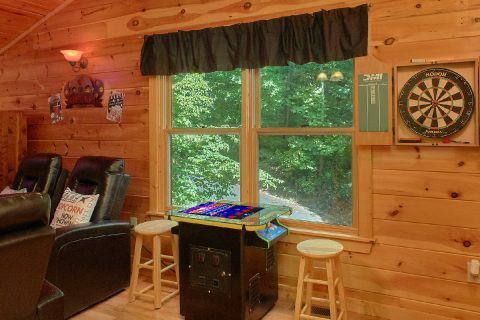 This room also provides a Pacman arcade game and a dart board for you to enjoy during your stay. 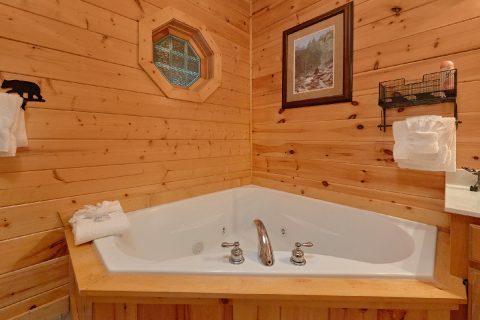 Once it's time to get some rest on your vacation, you can look forward to sleeping in the main level bedroom that boasts a king-size bed, a flat-screen television, and a bathroom with a jacuzzi tub! 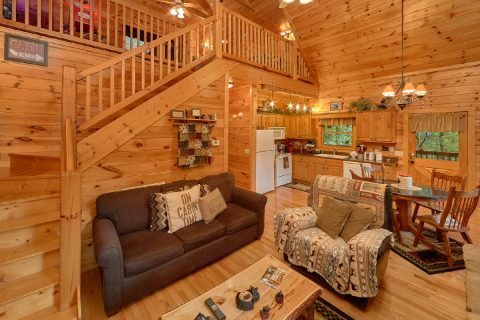 Additionally, the living room provides a sleeper sofa and the upstairs loft has a nook with a full-size bed, so this cabin can easily sleep up to 6 guests in comfort. 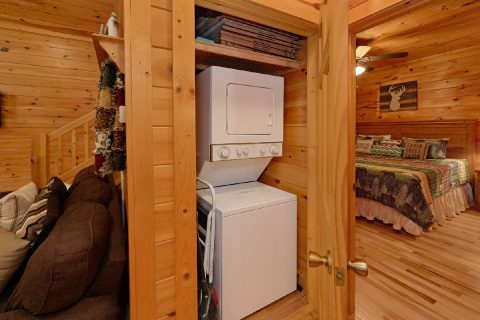 With practical features like WiFi Internet, a washer & dryer, and parking for two vehicles, you'll feel right at home at this 1-bedroom cabin! 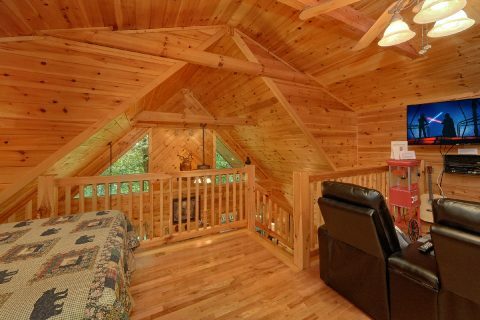 Book "Bear'ly Makin' It" today with Cabins USA Gatlinburg, and you'll save 15% on your nightly rate for your Smoky Mountain vacation!